Please Note: This item is custom made upon order, therefore requires additional handling time, which is reflected in the estimate above. Serve up your favorite glass of wine with this stunning Florida State Seminoles Wine Set. This classic set features a stainless steel wine chiller and two wine glasses. 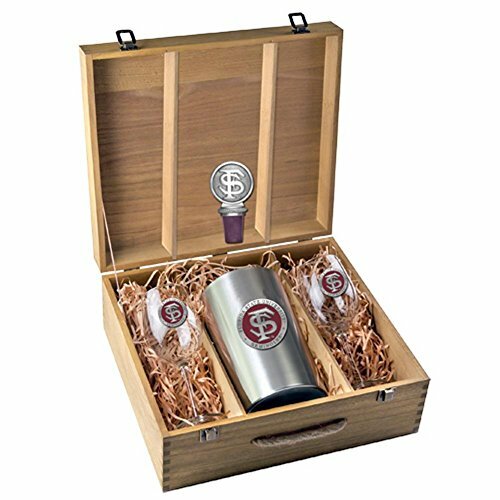 The wine chiller and each glass feature a center pewter medallion of your favorite team. Sure to be a hit at home or at your next game day party.